RIM has confirmed it's moving its focus away from the consumer handset market following huge losses – leading to the firm pinning its hope on the business user once more. The ailing Canadian smartphone maker has had a torrid time over the past year, and that was compounded as it revealed during an earnings call it has posted a loss of $125 million (£78 million) for the first quarter of 2012. For the same time last year RIM posted a profit of nearly $1 billion (£625m), but analysts still forecast gloom for the firm; however, these losses exceed even those dour predictions. Newly appointed CEO Thorsten Heins has responded to the financial falldown by stating that RIM would be re-focusing on the business sector, which he believes BlackBerry smartphones are still in a 'leading position'. "We plan to refocus on the enterprise business and capitalise on our leading position in this segment," he said, according to the BBC. 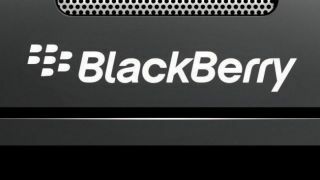 "We believe that BlackBerry cannot succeed if we tried to be everybody's darling and all things to all people. Therefore, we plan to build on our strength." We've yet to see what this means for the consumer market in terms of the RIM's strongholds – namely BlackBerry Messenger, which forms the cornerstone of the Canadian firm's consumer offering. Former co-CEO Jim Balsillie was confirmed to be leaving the firm, and shares have fallen sharply once more following the loss. The company's performance in the tablet market has been poor following the release of the Playbook, and the new smartphones this year have yet to capture consumer interest in the same way as the Samsung Galaxy S2 and iPhone 4S. RIM has been the subject of multiple buyout rumours over the last year… could this be the last year we see the once-great Canadian giant as a standalone brand?